SVE Unveils 1000-HP 2019 Yenko/SC Camaro With Fresh Face | Car News, Reviews, & Pricing for New & Used Cars. As Chevrolet is set to debut a new nose and color for the 2019 Camaro at SEMA, Specialty Vehicle Engineering (SVE) wasted no time announcing insanely its own high-performance packages for the updated car. Chief among them is the 2019 Yenko/SC Stage II Camaro that debuts with 1000 horsepower, a new face, and lots of badges. There are actually two SVE options, however, both of which will each be restricted to 25 units. The Stage I has a mere 835 horsepower while the Stage II gets the full 1000 hp. This formula is not new for SVE, as the 2018 model was offered with 825 or 1000 horsepower. Focusing on the high-output model, which is based on the SS with the 1LE add-ons, the Yenko/SC package features a custom 416-cubic-inch LT1 V8 with an aluminum block that makes 875 pound-feet of torque. It has a forged steel crankshaft and H-beam rods, forged aluminum pistons, CNC ported cylinder heads, and an improved fuel system. The Yenko has an upgraded out-flow system, as well, with custom headers, high-flow catalytic converters, and a custom stainless steal exhaust. A custom supercharger boosts power to levels not available on a factory Camaro. The Yenko sits on old-style, fat five-spoke wheels wrapped in Michelin Pilot Sport 4S tires. Excluding the carbon fiber hood with the scoop and the rear deck spoiler, there is no mention of further weight reduction or upgrades to the aero, brakes, cooling, or suspension. The stock 1LE does come with magnetic ride control, an electronic limited-slip differential, a performance suspension, and bolstered cooling, however. The rest of the offering is mostly visual. The Camaro has Yenko badging everywhere you look, and features an sYc graphic, a hood stripe, and side stripes. It has branded floor mats, door sills, and brake calipers, and the headrests are embroidered. Numerous pieces such as the supercharger cover are also customizable. Although this is technically not a factory car, the packages are ordered through General Motors dealers and come with 3-year/36,000-mile warranties. The 835-horspeower package is priced at $46,995 while the 1000-horsepower model is $66,995 extra. 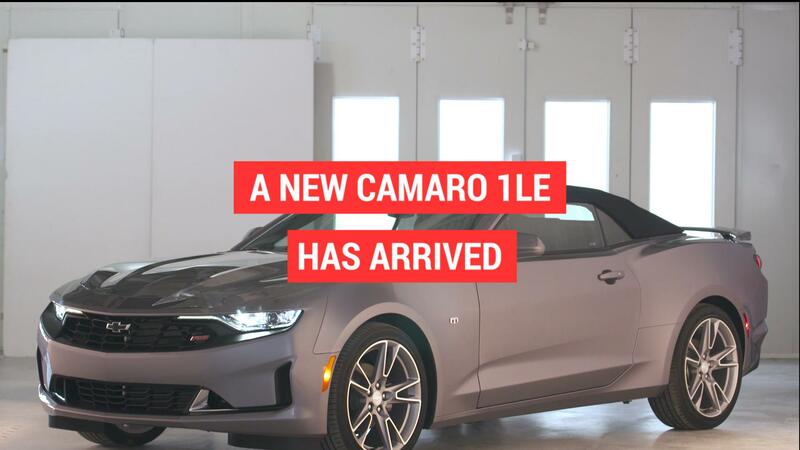 Let us reiterate those prices are on top of the new 2019 Camaro SS 1LE you’ll need to buy starting at $44,995. Do the math and you could be shelling out $113,990 for a Camaro. Now, for traditionalists who scoff at the idea of a new Yenko, there’s always the Brand New Muscle Car Company. Earlier this year, the Oklahoma outfit announced it would be building new officially licensed 1968 Yenkos. It’s a great time for pony people.